What days do you run tours and what is your season? We’re open every day except Tuesdays throughout the season. Occasionally we have a large party booked and have to block out other days. Our 2019 season will run from the 16th March to the 3rd November. Private Tours are available all year round by appointment only. Do I need to book before the tour? Yes you do. Please send us an email or book online. We do get fully booked some days in the summer so you must let us know in advance if you would like to join the group to avoid disappointment. SEND US AN EMAIL, TEXT OR CALL +44 (0)7598 925 243. What if I am the only person who turns up for a tour? Unfortunately we cannot provide tours for a single person. If you are the only person booked for the tour (which happens very rarely and only at quiet times of the year) we'll try to get in touch in advance to let you know. 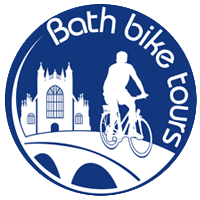 We can provide you with a bike, helmet, lock and map at a discounted rate for the day. We can also arrange punting or other things for you to do. Our tours are as safe as we can make them. Safety is our priority above all else. Helmets are provided and come in a range of sizes. You are not currently legally obliged to wear a cycling helmet; however it makes good common sense. Suitable clothes for cycling include shorts as trousers/long legged ‘pants’ (for you Americans) can get tangled up in the chain. Comfort is also a safety factor. We have a range of bikes with comfortable seats; however it is up to you to make sure the bike you use is suitable. If you are uncomfortable and want to change your bike that is no problem at all, just let us know. Although our public liability insurance is up to date each participant is responsible for their own safety and actions. I’m sure if you initiate some common sense you should not get into any difficulties. Regardless you will be asked to sign a full disclaimer. If you are unsure as to what one of these are please let us know and we will do our best to explain it to you. A disclaimer will be provided to all our customers’ right at the beginning of the tour and you will be given plenty of time to read through it and sign it before you are given a bike and start riding. We shouldn’t have to remind parents that they are responsible for their children. How big do the groups get? Normally around 10 to 15 persons at the weekend but less during the week. Our limit is 25 unless it is a private tour or a pre-arranged school trip, in which case we can be more accommodating. If you’d prefer a more exclusive tour one can be arranged for you so just drop us a line. If your child can cycle by themselves and can maintain a leisurely pace, they certainly are! In fact we find that children probably gain the most from our tours because they learn some interesting stories that we hope they will remember and they get to hang out with young adults rather than just their ‘boring’ parents. The vast majority of the tour is on dedicated cycle paths but we do go on the road at times, however that is only for a short distance and it’s quite all right to just walk on the pavement if you really feel uncomfortable. What things do I need to bring with me on the tour? Where do we meet up and collect the bikes? Click on the Meeting Point page. Can I bring a bag with me and leave it in the garage? You are welcome to bring a bag with you. Some bikes have baskets where you can put your bag, which is much nicer than wearing a backpack. We also have little bags to put a few items in that tie to the front of the bike that are very useful. You are also welcome to leave your bag locked in our office while we are out for the day (left at the owner's risk of course). Do I need to bring or wear a helmet? The short answer is no you don’t. However for your information we do provide helmets. Parliament has yet to legislate them to be worn, however the Highway Code Rule 45 states they ‘should’ be worn. Given that the Post Office has insisted on postman wearing them since 2003 that’s a pretty good indication that they are a good idea. All our tours are entirely in English as standard; however we are able to provide tours in other languages including Mandarin upon request. If you struggle to speak or understand English you are still very welcome to join us and meet other interesting people from around the world. We can even provide you with some written information in other languages if requested. If you’re a large group and want to bring your own guide/interpreter that would be fine and indeed we’d let your guide come free of charge. Do you go inside all the colleges, monuments and museums? Not all of them ... that would take too long. We do manage to put our heads inside Trinity even if it’s closed as we know a door round the side which is often left open but there is no guarantee. It is possible to take a walking tour of some of the colleges or just pay for your own entry. St. Johns college is £5 for admission and Trinity is between £1 and £2. Kings College Chapel costs £7.50 to go in for adults. Our recommendation is to go to Evensong in Kings College Chapel at 5pm every day except Sunday when it is at 10am and 3pm, which is completely free of charge and is sung by Kings College students and their choir boys. This is a seriously top tip! There is parking available at the Queen Anne Car Park (to the side of Parkside Swimming Pool on Parker’s Piece), which is the cheapest in the city. We have a Park&Ride initiative in Cambridge, which you are welcome to use, but leave plenty of time as it always takes longer than you expect. You can park in Chesterton and walk over a bridge and through Midsummer Common totally free of charge. Alternatively if you park at the far end of Mill Road it’s free and you can walk into the city from there. That’s no problem at all but we can’t offer you a discount for doing so I’m afraid.